E-Cube is a pre-qualified commissioning authority for the Public Building Commission of Chicago. As such, we have completed over half a dozen municipal projects for the city in the past 5 years. 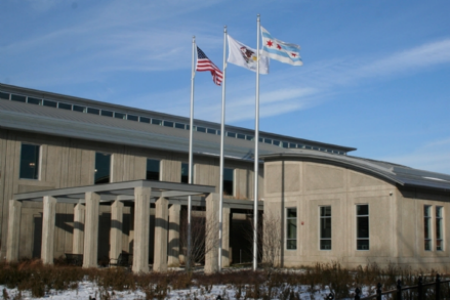 Projects include state of the art police stations (Districts 7, 9, and 23), public field houses (Valley Forge, Taylor Lauridsen and Jesse Owens), branch libraries (Greater Grand Crossing and Richard M. Daley), and other facilities such as a vehicle maintenance facility and the 31st Street Boat Harbor. From these project, E-Cube has become very experienced and familiar with the needs of the PBC’s processes, expectations and success goals, many of which apply to similar public projects throughout the Chicago area. For these projects, E-Cube’s has provided or is providing a comprehensive LEED commissioning process including the Fundamental and Enhanced Cx credits. Commissioning services typically include the mechanical, building automation, lighting controls, plumbing domestic hot water and renewable energy systems, but often also include life safety, emergency power, low-voltage and building envelope systems.